하교 시간이 되면 제주도 서귀포에 있는 동신파이디온 지역아동센터는 아이들 소리로 시끌벅적하다. 1층에 있는 피아노 한 대를 여러 명이 한 번에 치고, 2층으로 올라가면 연두색 식탁 위에 갖가지 책과 학습지가 흩어져 있다. 초등학생부터 중학생까지 돌보는 이 지역아동센터는, 근처 5개교에서 학교를 마치고 집으로 바로 돌아가지 못하는 29명의 아이가 찾는 곳이다. 이들은 가정 환경이 열악하거나 이외의 여러 가지 이유로 방과후 돌봄이 필요한 18세 미만의 청소년들이다. 이 학생들은 매주 4명의 선생님을 기다린다. 요즘 서귀포에서 갈수록 보기 어려운 부류의 사람들이다: 대학생 청년들. 동신파이디온의 신순옥 센터장은 "청년들이 다 육지로 가요. 서귀포에는 대학도 없어요. 알바생을 쓰려고 해도 청년을 구할 수가 없는 실정이죠. "라고 말한다. 이 4명의 청년 자원봉사자는 점프라는 비영리단체를 통해 4개월간 제주도로 '영입'되었다. 점프는 지역아동센터 등 국내에 이미 존재하고 있는 복지 기관들과 협력해 소외계층의 청소년들에게 더 나은 교육을 제공하려는 복지 단체다. 기존의 점프 모델은 대학생들이 지역의 복지 기관들과 협력해 1년동안 일주일에 8시간을 소외계층 청소년들을 가르치게 한다. '장학샘'이라 불리는 대학생들은 소량의 인건비를 점프에게서 지원받고 점프가 연결해주는 다양한 사회적 멘토들에게서 진로 상담도 받을 수 있다. 극적인 변화에 대한 과장된 기대 없이 점프는 꾸준히 일을 계속한다. “우리가 이걸 하는 이유는, 사회 구성원들이 똑같은 출발선에 서야 하기 때문이에요. 그 과정에서 힘들 때 옆에 누군가 있는 게 중요한 거고. 그래야 이 사람이 사회의 구성원이 됐을 때 훨씬 더 좋은 결정들을 내릴 수 있다고 믿어요.” 힘들어하는 청소년들 옆에 잠시마나 좋은 언니, 누나, 형, 오빠들을 붙여주고, 그 시도가 좋은 영향을 미치기를 끊임없이 희망하고 있다. 거의 수도권에서만 진행되던 기존의 점프 모델은 2016년 이후 전국적으로 확산되고 있다. 구글 임팩트 챌린지를 통해 지원금을 받은 것이 핵심적인 활력 요소가 되었다. 이의헌 대표는 “구글 임팩트 챌린지에 지원할 당시 저희가 기존에 사용했던 모델은 서울 지역에서 잘 작동하고 있었어요.”라고 가 말한다. 제주도 프로그램도 점프의 지역 확산 시도 방안 중 하나다. 하지만 현재 서귀포에서 동신파이디온과 같은 지역아동센터의 아이들을 대상으로 진행 중인 모델은 기존의 점프 모델과는 확연히 다르다. 2018년 10월부터 2019년 1월까지 제주 올레 및 서귀포시교육발전기금과 함께 진행하는 '청정 지역 프로젝트'는 청년이 없는 곳에 청년들을 끌어들이려는 색다른 실험이다. 월요일 오후 4시경, 점프 장학샘들은 서귀포 동신파이디온에서 아이들을 맞이하느라 정신이 없다. "영어 할 사람?" 한 자원봉사자가 소리치면 초등학교 1〜2학년생 네다섯 명이 "나, 나, 나!" 하고 우르르 몰려든다. 신순옥 센터장은 장학샘들에게 "얘 생활 지도 좀 해주세요. 욕 쓰지 말라고." 또는 "얘는 오늘 수학해야 돼요.”라고 신신당부한다. 경기도 부천에서 온 자원봉사자 정미화 씨는 5년 전 점프의 기존 모델 3기에 참가하며 단체와 처음으로 인연을 맺었다. 당시 20대 초반의 대학생이었던 그는 주중 저녁에 2시간씩 부천 지역 아동센터의 중학생들을 가르쳤다. 정미화 씨는 "역시 아이들은 많이 접해볼수록 사고가 유연해지는 것 같아요.”라고 말한다. "제가 가르친 아이들은 대부분 다양한 교육 방식을 접할 여력이 되지 못했어요. Glee라는 뮤지컬 형태의 미국 드라마를 한 번 보여줬는데, 아이들은 인종이 다양한 미국 청소년들의 성장통을 되게 신기해하더라고요. '동성애? 징그러워!' 하다가 '아, 이럴 수도 있구나. '라고 인식이 바뀌었다거나, 다문화 가정 아이들 같은 경우에는 한국에서 자주 받아온 차별을 미드 속의 아이들과 비교하며 '우리들만 당하는 고통이 아닐 수도 있구나. '라고 느끼기도 했고요." 그는 서귀포에서 주로 초등학생들을 대상으로 학습 지도를 한다. "아이들은 우리를 신기해하면서도 정을 많이 줘요. 귀가지도 하면 자기 생활에 대해 스스럼없이 가르쳐주고, 부모님이 이혼한 경우에는 '여긴 엄마 집, 여긴 아빠 집'이라고도 가르쳐줘요." At Dongshin Paidion Children’s Center in Jeju, South Korea’s largest island, the sounds of children fill the two-story building. It’s late afternoon and school has just ended. Students are arriving at the center, often because they need the free academic assistance or their parents cannot take care of them. Before designated activities start, the children run around; some play the one piano altogether, and some sit around the light green tables, on which books and practice booklets are scattered. These four young volunteers -- either still in college or recently graduated -- have been brought onto the island for four months through a nonprofit called JUMP, or Join Us to Maximize our Potential. The nonprofit cooperates with welfare institutions like Dongshin and other children’s centers nationwide, providing a better education to students from low-income families. At the heart of JUMP’s education model are ‘student-teachers,’ or young people usually in college, who are expected to teach at a local children’s center for a year. Student-teachers receive a small compensation in return for working eight hours a week. They also receive career advice from different mentors affiliated with JUMP. 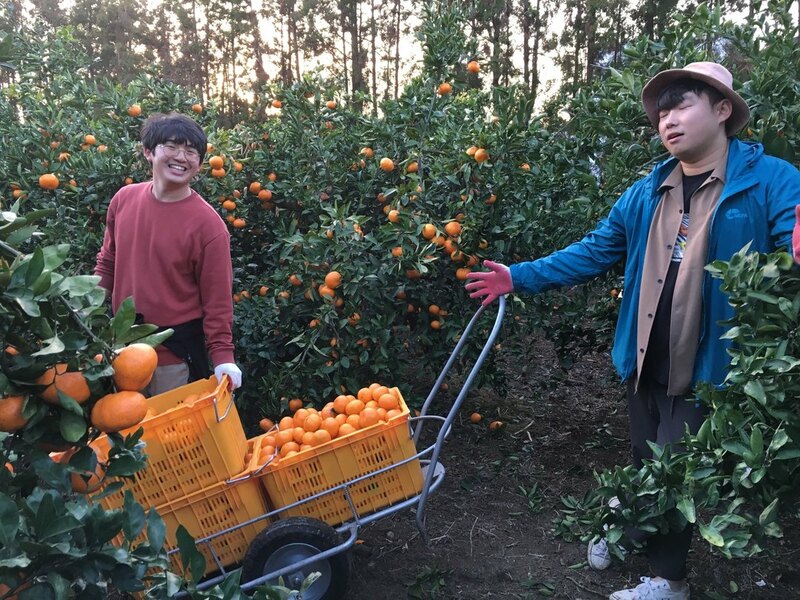 JUMP isn’t interested in building a completely new educational ecosystem; it works with pre-existing institutions like Dongshin Paidion in Jeju. 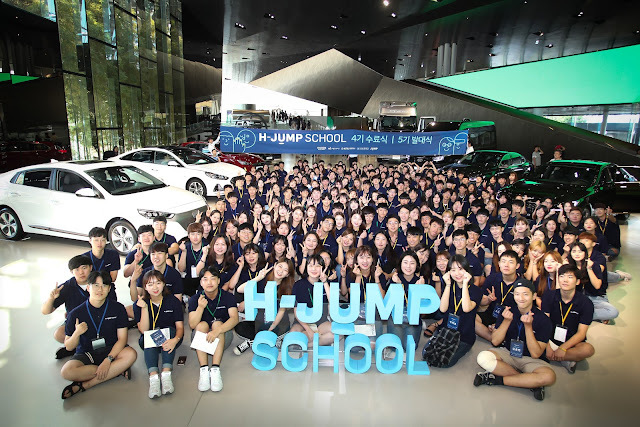 “We use the system that’s in place,” says Euyhun Yi, the chairperson and founder of JUMP. “South Korea is well-built in terms of its educational infrastructure. There are a lot of resources that students from low-income, marginalized communities can use.” The problem is, Yi says, these resources aren’t allocated effectively. JUMP works without any exaggerated expectations of dramatic positive change. “We do what we do because citizens need equal opportunities. The process of learning is hard for the students we help; we believe it’s important for someone to just be there for them. If children have people to turn to, maybe there’s a chance they can make better decisions as they grow up.” So JUMP aims to be that sort of a presence, aiming to provide student-teachers that the children can continue to rely on. Before 2016, JUMP projects were predominantly focused in the Seoul region. 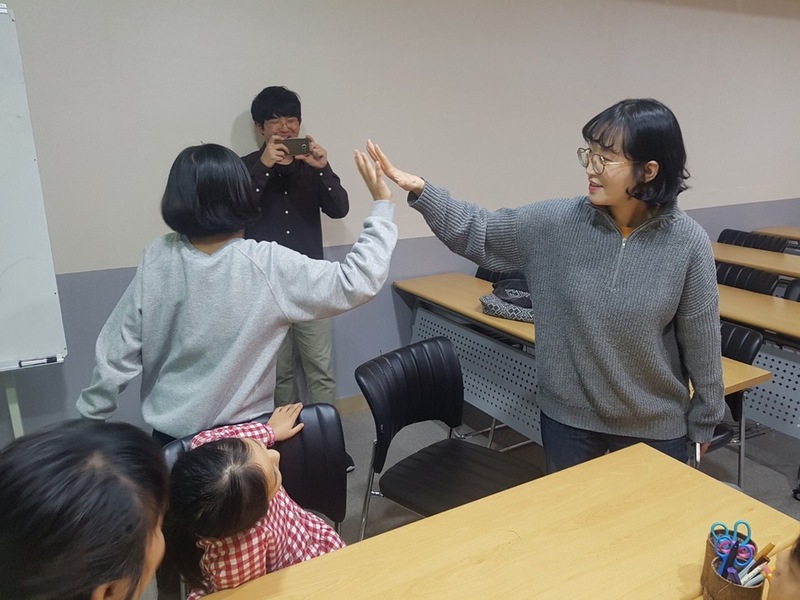 “Our main model [linking student-teachers with local children’s centers] was working fine in Seoul when we applied to GIC in 2016,” says Yi. But the problem was scalability. The GIC funding gave JUMP the necessary budget and energy to test its model throughout the rest of the country. In 2018, JUMP started experimenting with a new model in Jeju Island. From October 2018 to January 2019, Jeju has been the first testbed for the Cheongjeong Regional Project, which JUMP is overseeing together with local organizations like Jeju Olle and Seogwipo Education Development Fund. Similarly as before, student-teachers work at children’s centers like Dongshin Paidion. But contrary to the old model, they’re sent to the island from outside the region, not just to teach children but to work. 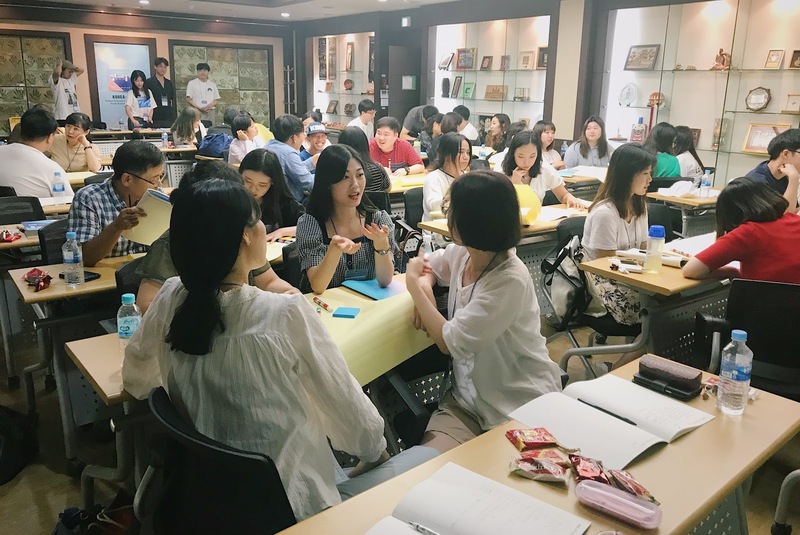 This program aims to help young people settle in places outside the greater Seoul region, where approximately half of the country’s 51 million live. Mihwa Jeong, from Bucheon, Gyeonggi Province (part of the greater Seoul region), is one of the four JUMP student-teachers in Jeju. (Technically she’s not a student anymore, having graduated from college recently.) She first encountered JUMP five years ago, and participated in its education program in Bucheon. At the time Jeong was still in college, and taught middle school students at a care center in Bucheon for two hours every weekday evening.